Children with disabilities should be mainstreamed as much as possible. 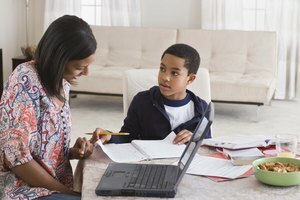 Parents and educators are engaged in continuous debate about the inclusion of children with disabilities in mainstream classrooms, as pointed out by the article "Full Inclusion: The Benefits and Disadvantages of Inclusive Schooling" on the Education Resources Information Center (ERIC) website. Theorists have entertained questions related to the students’ self-esteem and to the effects of these children’s very presence in the mainstream classroom. Clearly, these questions are valid as disadvantages to mainstreaming do exist. Children with disabilities frequently require extra adults in the room. Children with disabilities often require extra adults in the room. During tough economic times when cutbacks in government budgets are hitting the educational and other sectors hard, the monies for this extra staffing may simply not be there. 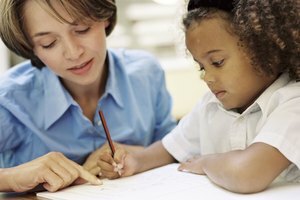 It may be very well outside of the budget to hire paraprofessionals trained to attend to these children's toileting, behavioral or learning needs. Many times, children with disabilities need special equipment. In the case of a blind or severely visually impaired child, school districts may not be able to afford Braillers or talking tapes that aid children in reading. Teacher training can become an issue when there are children with disabilities in the classroom. Teacher training, or lack thereof, can become an issue. According to the article "Integration of Disabled Students into the Modern Classroom" from the University of Florida School of Music website, a teacher may lack the training to address problems that children with disabilities bring to the classroom. The teacher, who is responsible for the education of all her students, may not have the necessary specialized training to address the needs of students with special needs. She may not be capable of managing her classroom time so that she gives the special-needs students the time they need to succeed academically, while managing her time with her other pupils as well. Mainstream classrooms aren't always an appropriate fit for students with disabilities. Mainstream classrooms may not be an appropriate fit for students with disabilities because the other children may not know how to deal well with their differences. They may resort to ridiculing or outright ostracism, as the University of Florida article says, of a child whom they perceive is not like them. They may laugh because the child has a speech or breathing impediment that is audible when the teacher calls on the child to read. The student may find himself in a situation where he is always the final choice for teams for games in physical education class. Behavioral problems can be encountered. Depending on the nature of a child's disability, it can affect the way that student behaves. According to the ERIC article, that pupil's misbehavior and disrespect can be so intense that it disrupts the learning environment. It can also be frustrating for the teacher attempting to teach in such an environment. As a result of the adults having to control that child's behavior, mainstream population children can lose out on valuable classroom time. Koolbreeze, Angus. "The Disadvantages of Inclusive Classrooms." Synonym, https://classroom.synonym.com/disadvantages-inclusive-classrooms-6388236.html. Accessed 19 April 2019.